If HYPE doesn't mention HOW - Tailwind Consulting - Thinking Skills for Executives. HOW, EXACTLY, ARE WE GOING TO BOOST SALES BY 20%? Sell harder? Sell differently? Use a new computer? The HOW is huge, and frequently unaccounted for. Hype is not How. Goals are not How. And strategy is not How at the individual level. So where is the How? Hang with me for a quick story: I bike a ton, and two years ago, I set a bike goal to ride 100,000 vertical feet in a calendar year. Plenty motivated and living in Vermont, finding hills was not a problem, and I rode my heart out all year long. Then in December, a bunch of snow fell, and the bike season was suddenly over, a bit earlier than I expected. I was at 92,000’ and my opportunity was gone. I had failed to achieve my goal and that sort of thing did not sit well with me one bit. #permianpanthers #fridaynightlights So I took a good long look at how, specifically and in concrete terms I could get where I wanted to go. What could I control? The problem wasn’t the frequency of my rides—it was duration. My ride profiles weren’t aggressive enough to add up to 100,000’. I was averaging about 1300’ per ride, and I needed to be closer to 2500’ per ride. Every ride needed to be longer, but how? I needed something beyond just “ride harder!” I needed clarity on how, specifically and in concrete terms, I was going to do this thing that I had just failed at. My tactical adjustments included things like making better use of ride opportunities in the early Spring. The bigger rides were depleting my energy too fast, so I changed up my food. The drivetrain on my bike wasn’t built for going uphill, until my mechanic helped me rebuild to make it better suited for climbs. My legs were cramping pretty badly on long rides, so I started taking mineral supplements and doing specific yin yoga stretches after every ride. The schedule for my daily rides changed too—including the time I started, the food I brought along, and the trails I took. In a way, I was doing the same things I had done the year before, still riding my bike up big hills. But the changes I made to HOW I was executing my rides made a major difference. On a snowy ridge across from Vermont’s tallest peak last weekend, I surpassed my goal and finished the ride at 100,450’ for the year—two and half months early. One lesson I take from my experience is that my overall strategy was necessary, but not enough. “Ride my bike a lot” wasn’t enough. And being motivated wasn’t enough. My tactical change ups made success possible. I believe this combination of relentless creativity and discipline can also help managers and salespeople achieve their unique long-term goals. Tailwind has been pioneering a new kind of coaching in this area—helping individuals focus, execute, and adjust specific and concrete tactics as their year unfolds. The idea is to help each individual embrace disciplined tactics, recognize and make better use of opportunities, and innovate as needed with new methodologies. People in sales and management roles appreciate the clarity gained as they pull together their own personal “How”—a one-page, tactical summary developed with a Coach, and updated throughout the year. This document details progress toward a goal, tactical activity, and how the tactics seem to be working. The Coach supports them in staying on track and adjusting methods if needed as the year unfolds. Beyond the Coaching context, these types of plans also serve as accountability documents for senior leaders—helping them quickly get a sense of HOW their people are moving forward, and what kinds of actions are being taken on a day to day basis at the individual level. The idea is to help each individual embrace disciplined tactics, recognize and make better use of opportunities, and innovate as needed with new methodologies. This tactical discipline and creativity was my key to getting the performance and results I was looking for. My hope is that it can do the same for you. Ron Cox is Founder and CEO of Tailwind Consulting, LLC. He personally works with senior executives on strategy and growth. He works as a coach and mentor to executives, and especially enjoys helping them navigate key transitions as they grow into bigger roles. 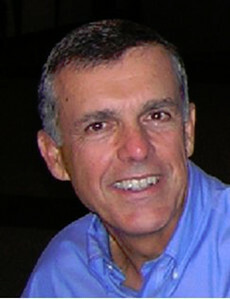 Ron is a pioneer and thought leader in thinking-based solutions for executives. During his career, Ron has been CEO of four international training and consulting companies with revenues ranging to $200 million.